MylesStandish is a Legacy Library. Legacy libraries are the personal libraries of famous readers, entered by LibraryThing members from the Legacy Libraries group. 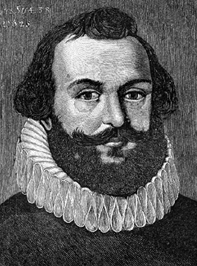 » Myles Standish's legacy profile. MylesStandish is also an author. About meMyles Standish (~1593 - 3 October 1656), Mayflower passenger and commander of the Plymouth colony's militia. Served as a soldier in the Netherlands prior to the passage to America. Was the governor's assistant in Plymouth, as well as the colony's treasurer. He moved to Duxbury in the mid-1630s. Married first Rose --, who died early in 1621, and second Barbara --, with whom he had seven children. About my libraryStandish's library is given as documented in the probate inventory of his estate, taken 8 December 1656 and presented 4 May 1657. The books are valued at £11/13, out of a total inventory value of £358/7.